Until today I never really understood the big deal with the rocker block. I was on the phone with Will Bush about something else and some how we ended up talking ski set up and rocker blocks. I asked- "if you want more rocker in the tail why not just adjust the CAD & build it into the mold?" What I understood from his explanation is if the top of the ski is flat you can not easily add tail rocker without changing the thickness of the ski. (Will did not exactly say this but that is how I understood it ). The answer is to not add rocker in the tail of the mold and then add it to the ski with the Rocker Block. I guess most skis other brands of ski flatten out when you screw the fin block on. I am not saying this is a good or bad thing but I never thought about it before. 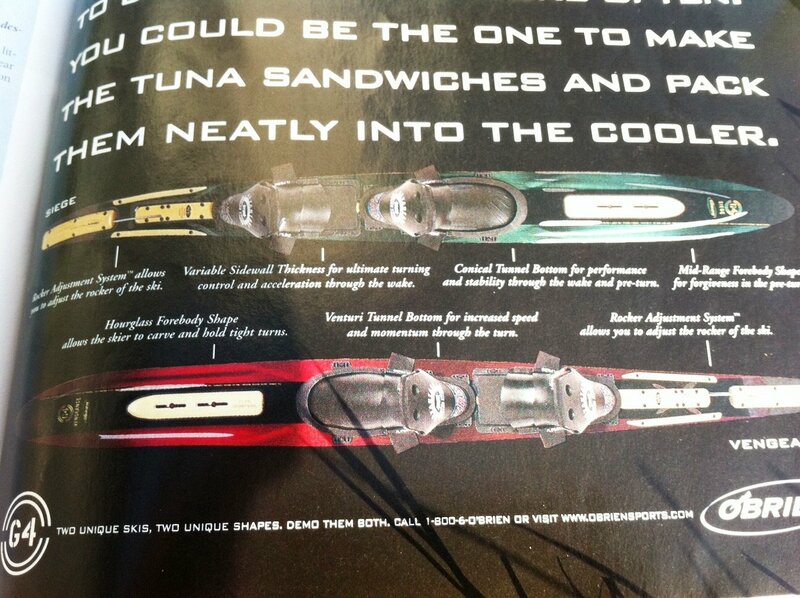 With three different blocks besides the old flat one a skier as the ability to change tail rocker. I have never had this option before. This is another thing that will make the H2 review fun. @mattp I do not have the ski yet. I think I am getting the R30 and R45 blocks. The current Helix turns so well on both sides for me that I've never considered changing the rocker block, don't think I need another variable when it comes to ski tuning. Tip flex-slide plate forward or backward. Tail flex-crank rod (stuck in fin box and ran to a forward plate) with an alan wrench. Tail flex again- remove one or both parallel skinny plates. Fin adjustment. Wing adjustment. Mini fin under the boots- remove or keep. Now that is a tweakers nightmare!!! Now I'm totally confused. I just got a 2014 D3 Fusion with a standard R-30 Rockerblock. I have not skied this yet. Frozen solid up here. Do I set the fin the way I always do? Are there adjustments to the Rockerblock? What determines if you need a R-45 or R-60? What do the different Rockerblocks do? I had that Seige! 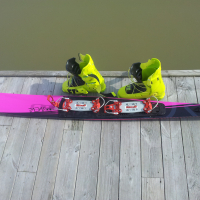 It was my first true slalom ski, the thing was heavy. 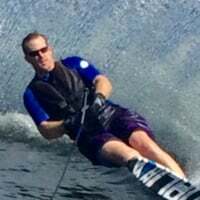 I was just a free-skiing wally back then, used it a few times when I was learning the course. Then the inserts for the front stiffening plate came loose so Obrien sent me a Siege Mapple, one without all the adjustments. Still have it hanging in the garage. @mrb. Set the fun as you always do and use the 30RB to start. There are no adjustments to the Rocker Blocks and that is why there are 3 versions. If you went to a 45RB you would find the ski turns more and even more with the 60. I notice it most at the apex of my onside turn. The higher number rocker block the more easily and quickly the ski comes back from the apex. I also notice it at the finish of the turns. It gives you another way to fine tune the performance of your ski, if you wish. @bishop8950 Thanks. The 30RB sounds more like my style. Horton, did you ever try the different blockers??? has any one else? I'm still waiting for the left / right version. Makes sense. Cheap version: washer under middle fin block screw, easy to create various curvatures. Best way is washers under middle screw on one side to create an offset. As an example, on my NRG, I have 2 washers under the middle screw, on the left side, which changes the offset by .030, and greatly improves my onside turn, which is 2-4-6, since I am R-Foot forward. Hope this helps.